Performers include: Peter Sarsgaard, Thandie Newton, Uma Thurman, Makenzie Leigh, Zachary Quinto, Dylan Schombing, Thomas Sadoski, Melissa George, Brian Cox, Lucas Hedges, Maria Tucci, Marin Ireland, and Penn Badgley. This series is based on the book by Christos Tsiolkas and the Australian television series of the same name. It’s an unflinching look at how one little slap can have a huge impact. Hector (Peter Sarsgaard) is a public servant, husband, father and valued friend who’s on the cusp of his 40th birthday and not comfortable with it. His beautiful and intelligent wife is Aisha (Thandie Newton). She’s planning his party filled with his very boisterous Greek family and friends like television writer Anouk (Uma Thurman). Hector tries to navigate family politics, awkward friendships, and the young woman he is dangerously captivated by, Connie (Makenzie Leigh). The built-up tension explodes when Hector’s hotheaded cousin, Harry (Zachary Quinto), slaps another couple’s misbehaving child named Hugo (Dylan Schombing). Everyone is understandably stunned and the party abruptly ends with Hugo’s flawed and very protective parents (Thomas Sadoski and Melissa George) vowing legal action. The moment ignites a chain of events that uncover long-buried secrets within the group of friends and family. It vigorously challenges the core values of everyone involved. Other characters include Manolis (Brian Cox), Ritchie (Lucas Hedges), Koula (Maria Tucci), Sandi (Marin Ireland), and Jaime (Penn Badgley). Eager to follow up on Gary’s promise to fix the damage from Thanasis’ cross-examination, the DA contacts Gary about the supposed photos in Ritchie’s possession and asks for clarification – why withhold this information until now? Gary emphasizes his long-held desire to keep Ritchie out of the whole ordeal… but the photos he snapped at the BBQ could turn the case around. Ritchie himself suspects nothing and, at school, hears out a sincere apology from Connie. He thaws and accepts her remorse, and anecdotally mentions he deleted the photos anyway – which should end his involvement. But when Ritchie returns home, a detective from the DA’s office arrives intent on securing the supposed photos. Ritchie complies without protest, noting that he deleted all the files. The effects on Ritchie are immediate – his classmates ostracize him, and not even a kind gesture from Connie manages to register once the official summons to appear in court arrives. His mom vows to petition the court, but, defeated, Ritchie announces he’ll testify. His calm demeanor clashes with his actions, though, as he sneaks a wad of cash and a pain pill prescription on his way out the door. He drops by Hector and Aisha’s house to give Hector a present – it’s a beautiful, black-and-white photo of Hector from his BBQ. Ritchie deflects Hector’s incessant thanks and visits Gary and Rosie’s next – only to find Hugo and his current babysitter. After a brief, kindhearted exchange with Hugo, Ritchie leaves a wrapped present for Gary in his studio – a framed photograph from Ritchie’s recent exhibition at school. But later, when Gary unwraps the gift, he discerns from the message on the back that Ritchie may have ill intensions. He rushes out to the location depicted in the photograph and finds Ritchie passed out on a bench, a pill bottle and alcohol on the ground. Gary calls an ambulance, and as he struggles to keep Ritchie awake, he apologizes for betraying Ritchie’s trust and sending the DA to collect the BBQ photography. Ritchie recovers and heads to the stand the next day. Tired but composed, he recalls the event in question with uncanny accuracy and explains his decision to delete the photos that would ostensibly determine the case. Ritchie describes that he deleted photos of everyone from the party, not just of the slap – he deleted shots of Hector and Connie’s secret moment, of Gary’s continuous drinking, of whispers and arguments, of Rosie drinking wine and breastfeeding. Soon enough, the judge returns her ruling… and finds Harry guilty of attempted assault of a minor in the third degree. She sentences him to time served, and turns her hand to Rosie and Gary – they should expect a visit from child services. It appears no one will remain unscarred. First aired: April 2, 2015. What do you think? Do you like The Slap TV show? Do you think it should end or return for another season somehow? 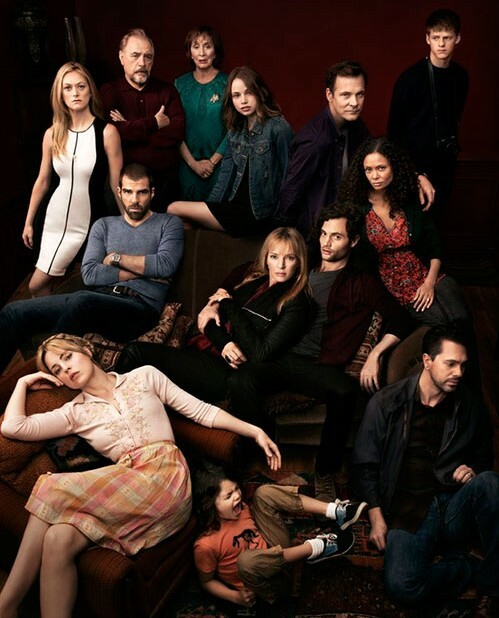 The Slap: Should NBC Drop the Thursday Night Series? It should not end!!!! Please bring back Thr Slap. The name of the show throws you off. I started watching it when I did not realize what it was. I originally would not watch because the name. Very disappointed to hear it has been cancelled. I loved this series!